In the spirit of Halloween, the MMA Podcast brings to life a Frankenstein-esque episode. Due to the hosts’ tight schedules and the Marvel Heroes downed game servers, the team managed to stitch together three separate recording sessions in order to bring you the October Pullbox episode. 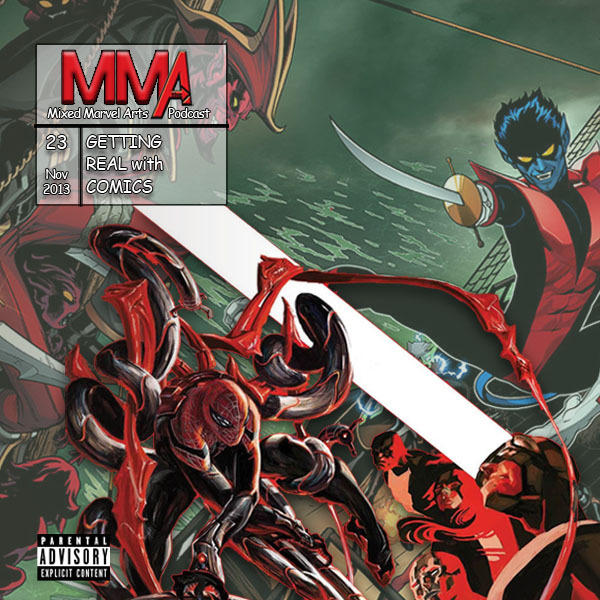 Beyond the frustrations of the Marvel Heroes servers being down, Brian discusses the mini crossover story line, “The Arms of the Octopus;” and Shaun provides a complete update on the Ultimate universe leading up to “Cataclysm.” Episode artwork: Superior Spider-Man Team-Up Special #1 cover art by Alexander Lozano; Amazing X-Men Vol 2 #1 cover art by Ed McGuinness.